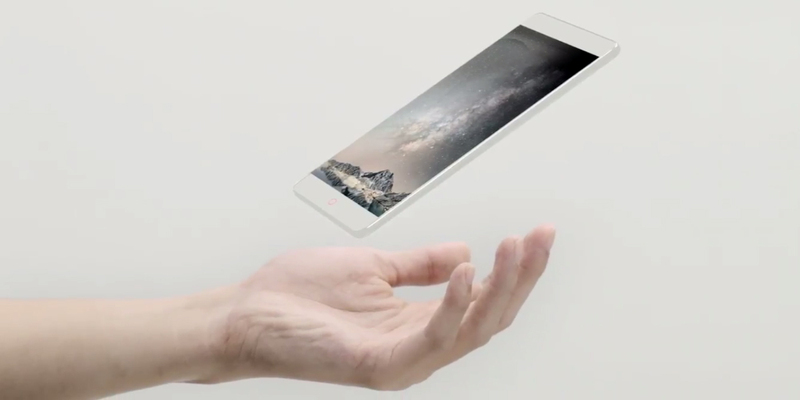 Following the path marked by Xiaomi and its Mi Mix, Nubia presents a smartphone with side edges (also called edge to edge or even borderless), a very significant detail these days, which combines ergonomics and design and emphasizes the feeling of being before a First class device, modern and elegant. Below we tell you what are the most interesting specifications of the new Nubia Z11. Obviously, design is one of the most careful aspects of this smartphone. At the front, we find a borderless and slightly curved 5.5 inches screen, with a relatively small size. The Z11 measures 151.8 x 72.3 x 7.5 mm with a total weight of 162 grams. But not only the front attracts attention; the back is made entirely of aluminum as well as the sides. The only non-metallic parts are the two symmetrical lines that accommodate the antennas. Otherwise, it is an IPS panel, with Full HD resolution (1920 x 1080 pixels) and a density of 403 ppi. Under the cover is a Qualcomm Snapdragon 820 processor with Adreno 530 GPU, 4 GB of RAM and 64 GB of expandable storage via microSD. We can choose between inserting a nano-SIM card and a micro-SD, or two nano SIM. The performance of this configuration is excellent, in every way, providing a great experience, even with heavy games. The operating system also helps: Android 6.0.1 Marshmallow, with the user interface Nubia UI 4. This is a typical customization from the East, but very well adapted to our market. As for the photographic section, the Nubia Z11 mounts a 16-megapixel rear camera and an 8-megapixel front camera. The rear camera has optical image stabilization and offers good picture quality. Not at the level of a Galaxy S7, of course, but it's close. In fact, the main difference is the lighting; with bad light conditions, the quality decreases, but not by much. An important point for lovers of complete smartphones, since the Nubia Z11 costs € 599, a great price for a device very well built. The only small snag is in the software, which still has some chirping translation, but whose software updates should fix them in the future.